Due to partial day road closures north of Silverton, several of the folks cut out before the sun rose. Since Pam and I were heading south towards home we left at a more reasonable hour. 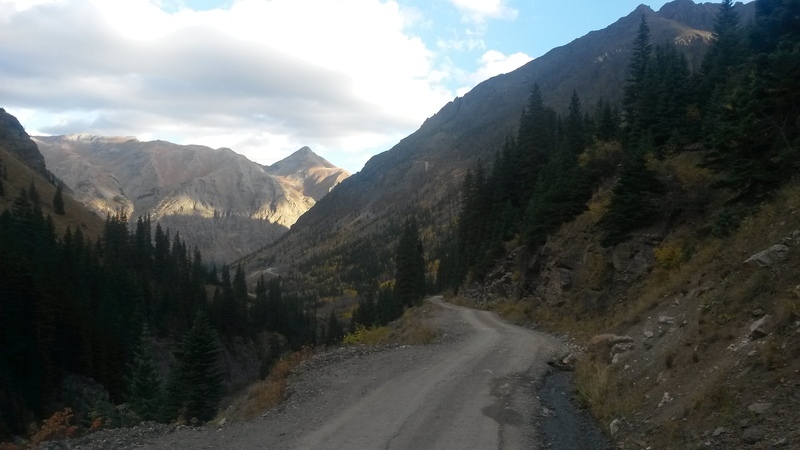 The road back down into Silverton from our last campsite was picturesque in the morning light. 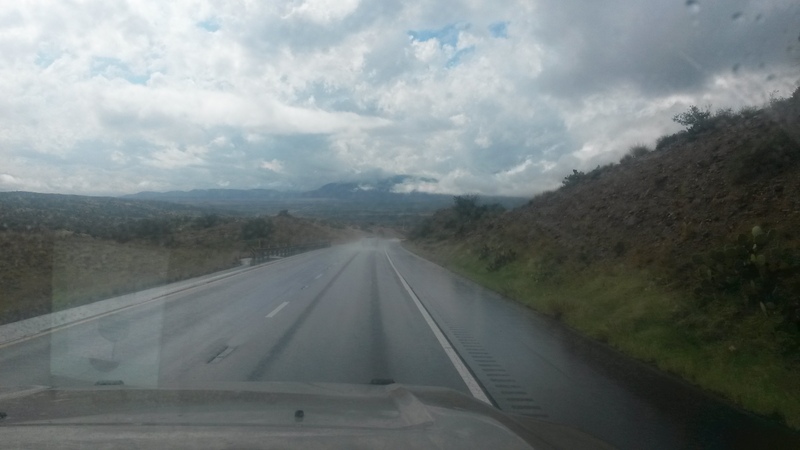 The road is not what you would consider wide, but luckily the rush hour traffic was light. 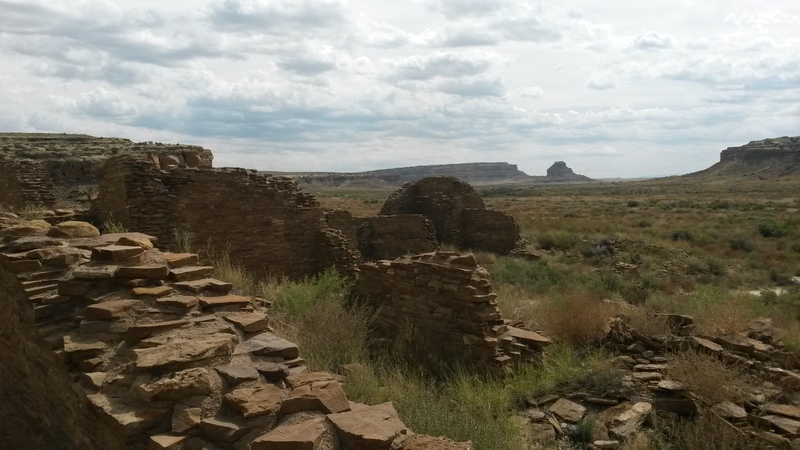 We dropped south out of Colorado and crossed into New Mexico near Chaco Canyon and the Chaco Culture National Historical Park. Neither of us had been there before so we decided to stop in and see the place. “Near” is a good description since no paved road is within 20 miles of the place. 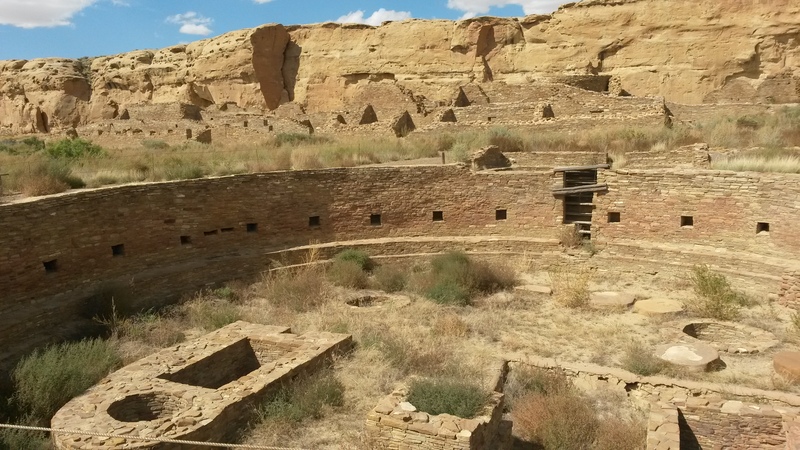 Chaco Canyon is the ancient Pueblo center that thrived between 800 and 1200 AD. What remains are the ruins of the great houses that were once the cultural centers along the migration and trade routes in the beautiful valley. Much of these multi-storied structures have collapsed and the wood beams of the roofs and ceilings eroded with time. However, most of the walls still stand as well as the ceremonial pits. 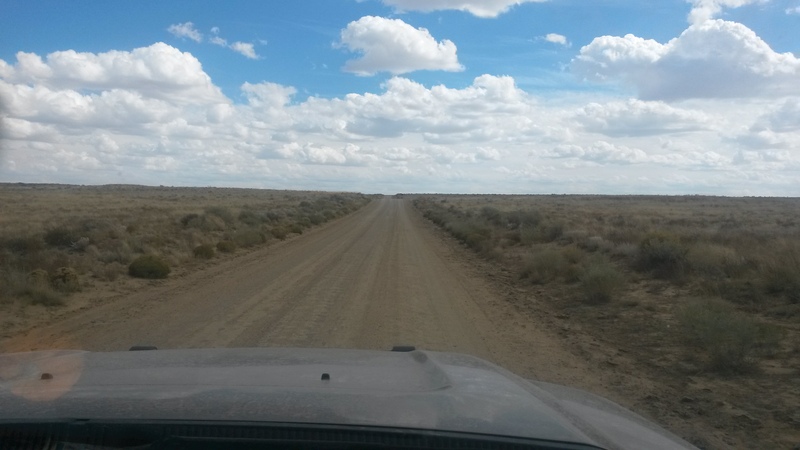 The drive south from Chaco Canyon was through the Navajo Reservation along some wide open roads. 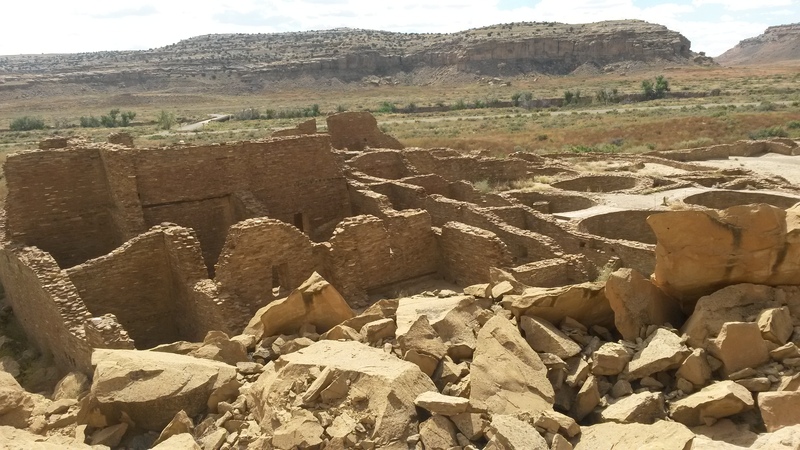 We intended to camp at El Morro National Monument, but we spent too much time hiking Chaco. The 9 spots at El Morro were occupied by the time we arrived. 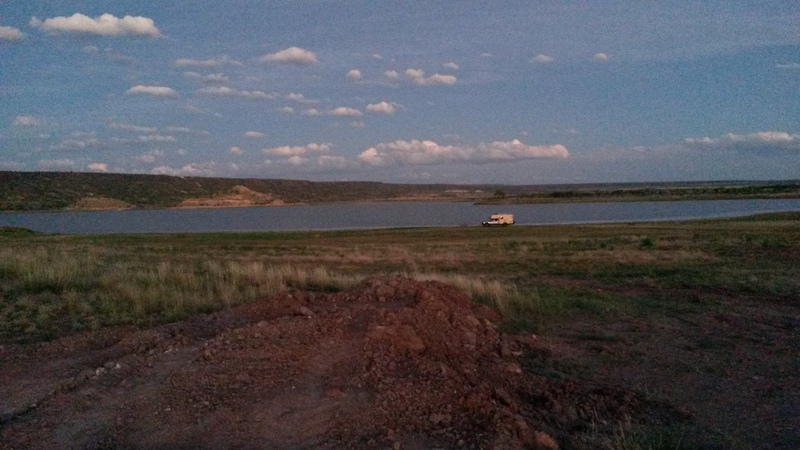 We instead continued across the Zuni Reservation and into Arizona, camping at Lyman Lake State Park. They had “beach” campsites, which meant you could park down by the water and had no hook-ups, which was perfect for us. It was not very crowded at the beach – lol. One of the things we learned at the rally was that we needed to operate our diesel systems a little more often than we were to keep then working correctly. This includes our diesel water heater, diesel air heater and the diesel cook stove. 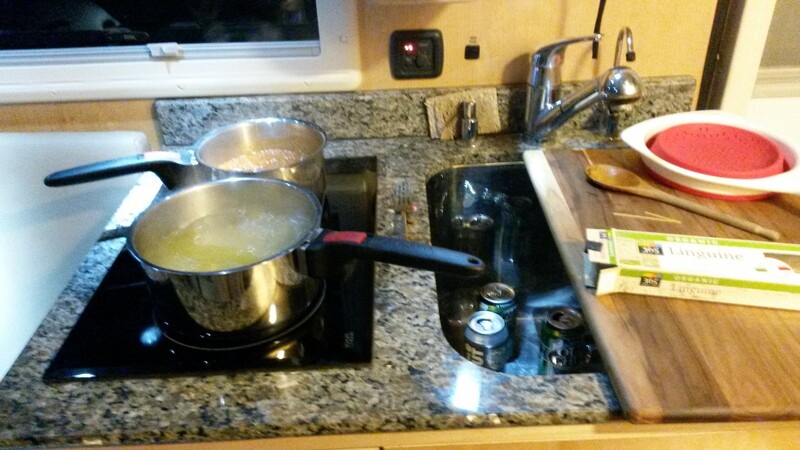 We fired up the stove, literally, and cooked a batch of bolognaise sauce and pasta for dinner. It was yummy. I was just about to toss some water out of the Roamer and Pam said, “don’t open the door”! 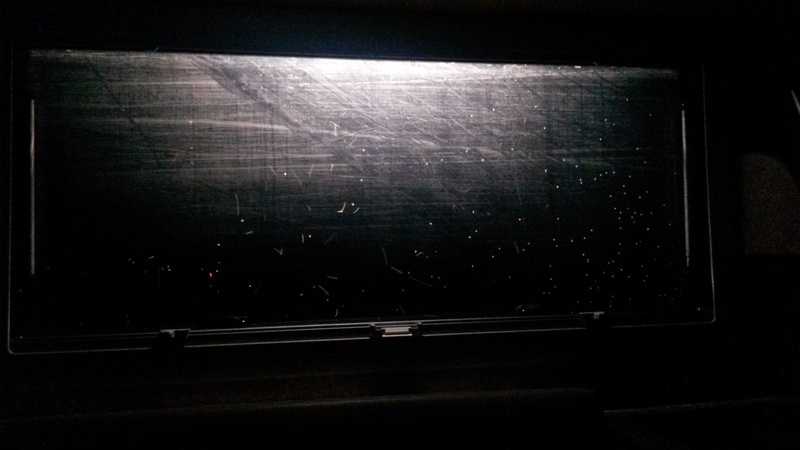 We turned the outside lights on and the inside lights off to see the hundreds of bugs gathered outside waiting to get inside. 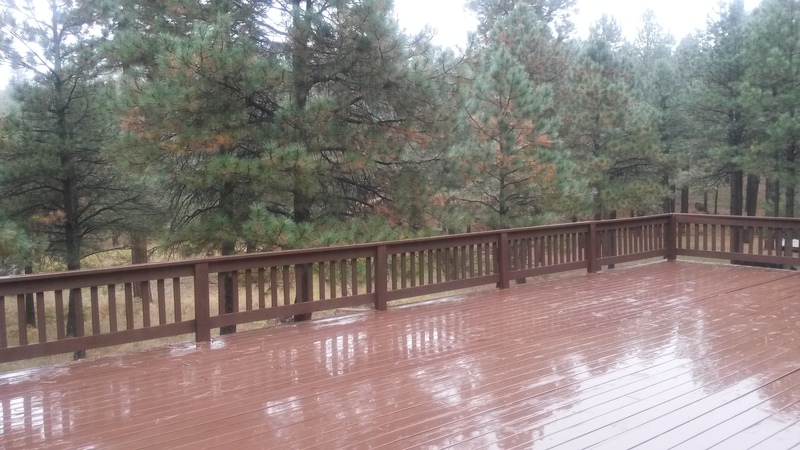 While we didn’t need the insect protection we put in before our trip to Alaska up there, it came in handy here. Not one of the buggers got in through the screen or hatches all night. We stopped the next day at our place up on the Rim for the weekend before dropping back down into the valley. While the snow was a little lighter than hoped last winter, this summer has been wet and the forest looked great – sorry California. Had to take care of some house maintenance issues and I’m sure there will be more when we get home after nearly 4 months on the road. It rained 3 more inches while we were there. We dropped out of the clouds off the Rim and there were more clouds south of Payson than I can ever remember seeing this time of year. 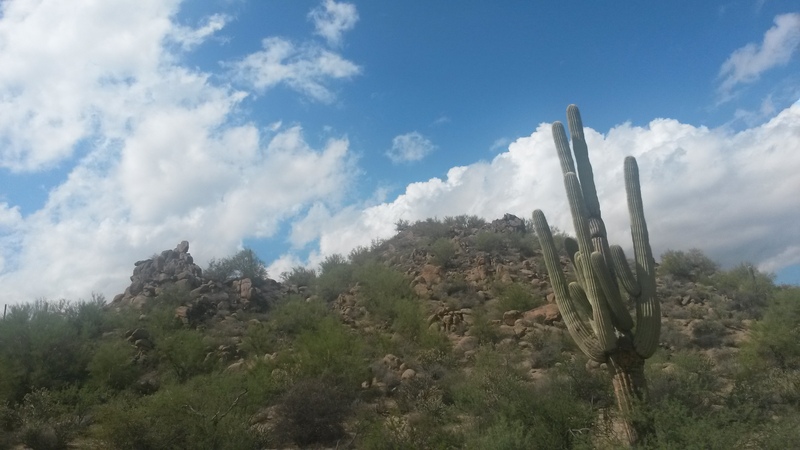 The sky broke open as we approached the valley and we passed by the first saguaro we’ve seen in many months. We’re home now after 13,585 miles on the road. This does not include the 1700 miles on the ferry getting to Haines, Alaska. 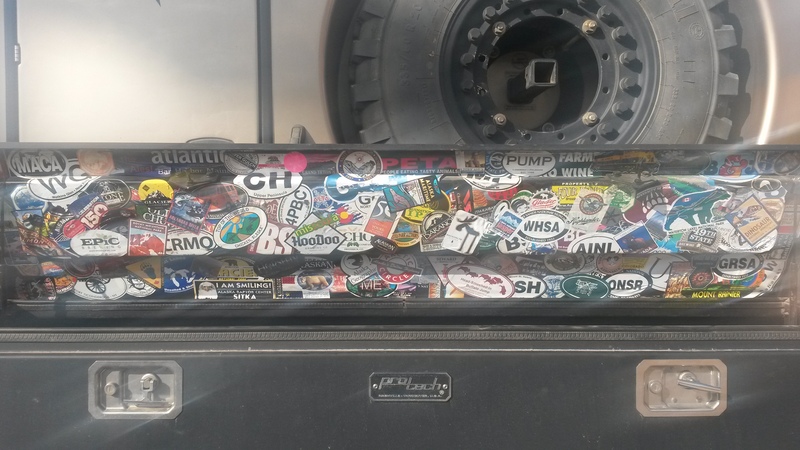 It was a total of 113 days for Epic Trek 2 and my sticker collection in the utility box is growing.